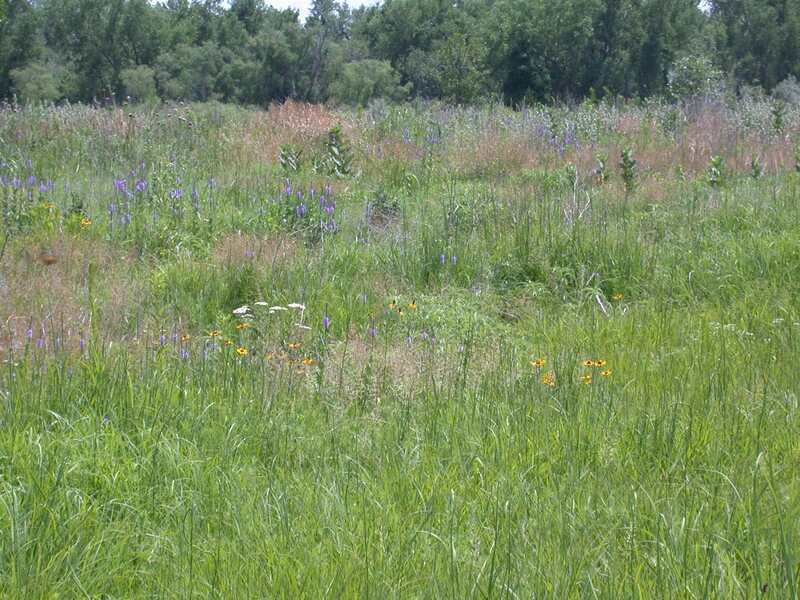 Project Summary: The Partnership attempts to balance the economic needs of landowners and the ecological needs of wildlife and native grasslands. The Platte River Habitat Partnership was initiated in 2001 by the Nebraska Game and Parks Commission and The Nature Conservancy. The Big Bend Reach of the Platte River, and wet-meadows associated with the river, provide important habitat for a host of wetland and grassland species, including the federally listed whooping crane, sandhill cranes, migrating waterfowl, and grassland bird species such as bobolink, dickcissel, grasshopper sparrow, and Henslow's sparrow. The goals of the Partnership are to encourage sound land stewardship, conserve and enhance existing native grasslands and wet meadows, restore functional native wet meadow systems, and emphasize long-term sustainability. The Partnership has developed a customized private lands incentive program to protect, restore, and enhance native grasslands and wet meadows along the Platte River. Landowner participation with the Partnership is completely voluntary. The Nature Conservancy staff provide habitat restoration expertise, community and landowner contacts, and organizational infrastructure. The Nebraska Game and Parks Commission staff provide habitat restoration expertise, funding sources for restoration projects, and experience in developing and delivering private land incentive programs. The Nature Conservancy, Nebraska Game and Parks Commission, U.S. Fish and Wildlife Service, The Nebraska Environmental Trust, Landowners, Platte River Whooping Crane Trust, Pheasants Forever, Ducks Unlimited, U.S.D.A Natural Resources Conservation Service, Central Platte Natural Resources District, and others. The Partnership has entered into voluntary, cooperative agreements with landowners to provide technical assistance and incentives for native grassland enhancement and management on over 5,000 acres. Project activities on these acres include: 1,165 acres of tree removal (primarily invasive species such as eastern red cedar and Russian olive), 9 miles of backwater slough restoration within wet-meadow areas, 54 acres of shallow wetland restoration, 1,175 acres of native seeding, 3,900 acres of prescribed burning, 975 acres of grazing deferment, and 3.5 miles of fence. In the first 5 years, the Partnership exceeded the short term goals set for landowner agreements and incentives; but the need and interest from landowners continues. The Partnership will continue to work with landowners on habitat enhancement and management, and continues to pursue development of habitat protection options such as conservation easements and fee title purchase. Development of customized incentives to meet landowner and resource needs. A Grassland Manager works one on one with landowners on grassland restoration and grazing management.